Reversible bracelet featuring fourteen enduring virtues: Valor, Amor, Confinaza, Honor, Familia, Verdad, Caridad. Other side: Fidelidad, Unidad, Pasion, Alegria, Bondad, Humor, Esperanza. Each bracelet comes with the inspirational booklet, Words to Live By™, short essays on each of the fourteen virtues, completely translated into Spanish. Beautifully packaged in a velvety claret-colored jeweler's wrap, ready for gift-giving. 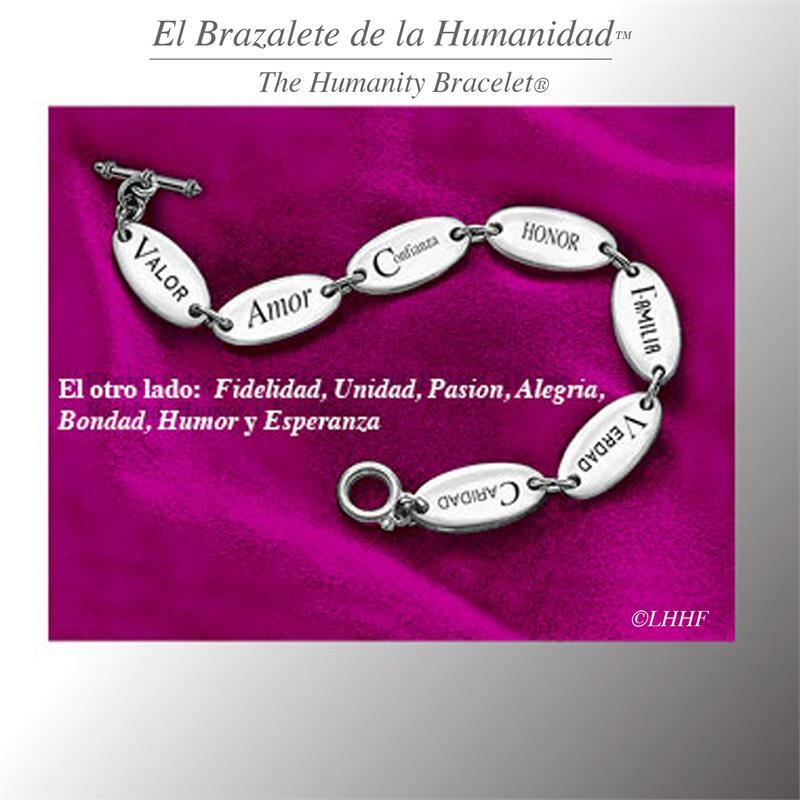 El brazalete de la Humanidad™ is ideal for those seeking to celebrate their heritage, language professionals.